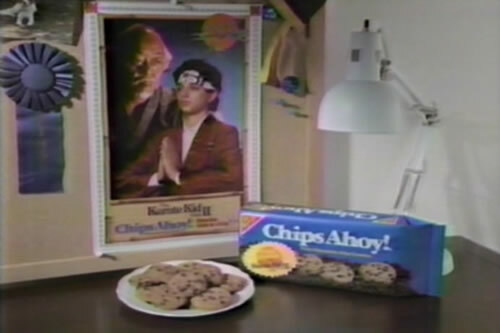 Almost three years ago I made mention of a Karate Kid Part II poster that was included in a Chips Ahoy! promo back in the mid-80s. 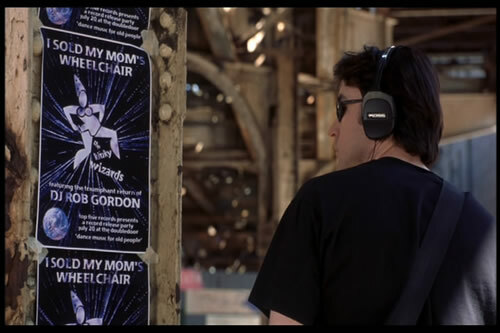 I was having a hard time finding a picture of the poster anywhere online -- let alone finding the poster itself. Although I still haven't found the actual poster, I'm now one step closer. On this cold, icy morning, I put on a recording of Saturday morning cartoons which aired in 1986 (for my kids....yeah, for my kids). During a commercial break from the Smurfs, there it was. Staring me square in the face. The poster that hung on my wall almost 30 years ago. I wanted to find this poster before today. Now I really want to find it. 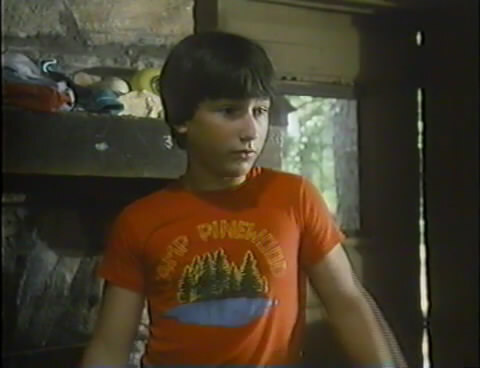 To the pretend person currently working on my Camp Pinewood t-shirt, please make me a copy of this poster, too. You've heard me ramble before about the 1985 Michael J. Fox/Nancy McKeon movie Poison Ivy. I won't get back into that again. But if anyone out there who is graphically talented has time to kill, I have a (pro bono) job for you. Recreate the graphic on this shirt so I can print a shirt of my own. On behalf of myself, Dennis, Rhonda, Big Irv, and everyone else at Camp Pinewood...thank you in advance. Although I've never really been a big fan of it, I know a lot of people really get into pixel graphics. But sure, I admit some of it is kind of cool. 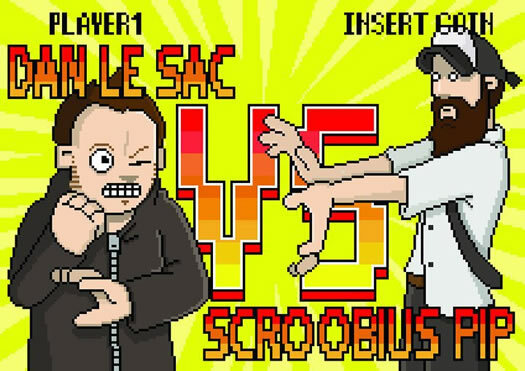 Here's a solid work promoting one of my favorite hip-hop artists -- Scroobius Pip. This dude is flat out amazing. 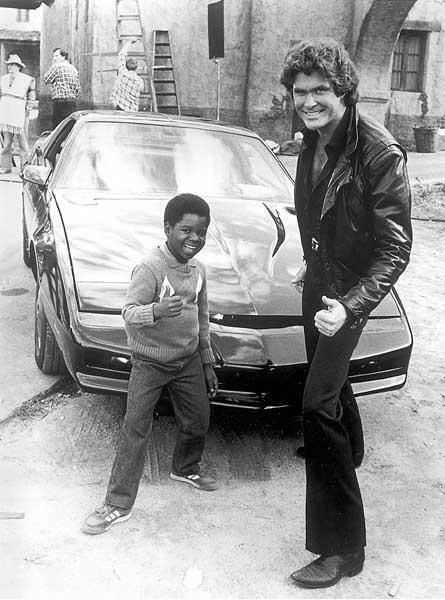 I looked up "awesome" in the dictionary. Found this. Obi-Wan Kenobi as Uncle Jesse? Chewbacca as Cooter? What?!? This video was awesome. Except for the Star Wars parts. My post from this morning -- the one with the snapshot from 1978 -- made me realize something. Blog posts do not have to be long. For a while I was doing a simple weekly post on junk found in my basement but I've always had this idea in the back of my head that I shouldn't put up something new unless it was detailed and well thought-out. I love the idea of quick and interesting. Sort of a twitter-esque mindset. But all too often, the quick and interesting gets lost in the shuffle of Twitter. So my plan here is simple: More posts. Less detail. Same junk. Daily? Maybe. But probably not. Sure there'll be an occasional lengthy post when I get the urge, but I'm a firm believer that in this case, less is more. Often finding myself neglecting this blog because of time-consuming work on my other sites, my hope is that this simpler pseudo-daily blog idea will kick FASTE back in gear a bit. Stay tuned. This mess starts tomorrow. Back in mid-December, Plaid Stallions featured the "Top Ten Coolest 3 3/4" Action Figure Lines of the 1970s" and I was thrilled to find that their choice for the number one spot was absolutely, positively correct. 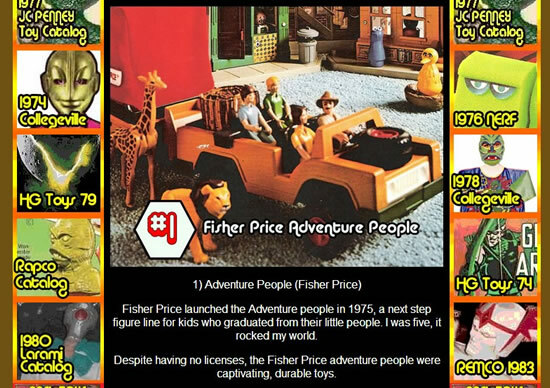 No figure that size from that era could hold a candle to the Fisher Price Adventure People! I was back home for the holidays just a few weeks later and took that opportunity to dig out all of the old Adventure People that saw a crazy amount of playtime during my childhood -- at least until my brother and I were introduced to G.I. Joe. Believe it or not, many of the sets we had are still complete. They're played with and banged up -- the but pieces are mostly there. 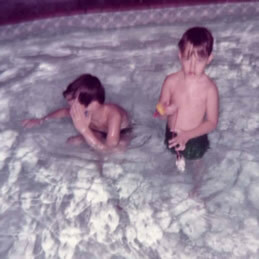 That's me and my brother playing in a hotel pool on a family vacation in 1981. In my hand -- the Adventure People Deep Sea Diver. 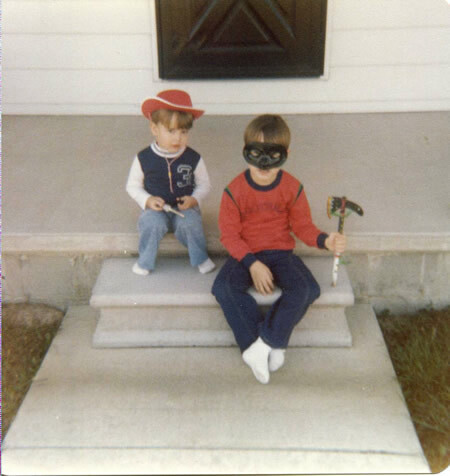 A year earlier, while my brother and a friend played in the background, I was left to entertain myself with the plane from the Wilderness Patrol. One of these days I'll get around to sharing more about these sets in their entireties. 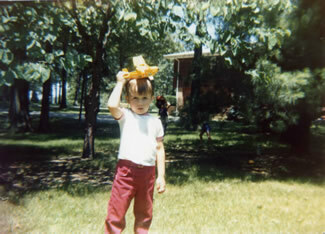 Until then, I couldn't resist digging out some old snapshots.